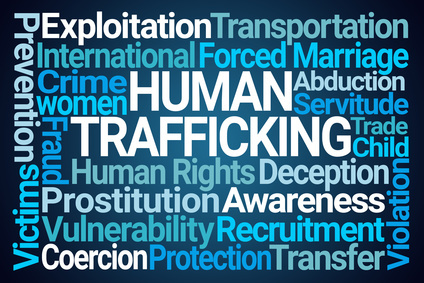 While global efforts to raise awareness about human trafficking and youth exploitation have not gone unnoticed, the industry has grown into the third largest criminal enterprise in the world. On a given day, 40.3 million people are enslaved, generating revenues of approximately $150 billion annually. And would it surprise you to know that 87% of trafficking victims received health care and 28% came in contact with human service professionals while captive? So, why aren’t we identifying human trafficking or youth exploitation with greater success? What are the risk factors for the client groups we serve? Do policy and procedure manuals adequately equip team members to assess for internal risk as well as external risks? Would staff know what to do if they suspect trafficking? Is human trafficking addressed in safety plans, screenings, treatment plan, discharge summaries, etc.? Joy Kelleher will unpack these questions and more as she shares critical insight on how to address human trafficking in the workplace through compliance and risk management. Host: Sincron HR Software - The premier HR platform for Social Service, non-profit and education organizations in North America. To learn more about how Sincron HR Software is tailoring its platform to help the social service industry please click HERE. With over 25 years of experience as a licensed clinician, social worker and behavioral health administrator, Joy Kelleher has an eclectic background of professional experiences including extensive international work. From an administrative standpoint areas of professional interest include corporate compliance, ethics, quality assurance and using data to inform practice. Joy is a Certified Compliance and Ethics Professional (CCEP), a Certified HIPAA Professional (CHP), Clinically, working with children and families from a lens of trauma informed practice and positive psychology and speciality work with adults with severe and persistent mental illness are key areas of Joy’s experience and expertise. Joy is also passionate about advocacy and volunteer work in her community. While working as a social worker in Ireland, Joy was introduced to the growing epidemic of human trafficking. Spurred to action, she serves as the Chair of the Development Committee for SAFE Coalition for Human Rights, a volunteer based, clinician supported and survivor driven grassroots organization based in the USA. Joy is a surveyor for CARF, an international accreditation body. She serves a volunteer assistant swim coach at Brenau University in Georgia, USA. The Sincron HR Power Hour was launched to provide executives in North America free online professional development by HR experts in the field, foster networking opportunities and allow for open discussion on hot topics in HR. Sincron HR Software helps companies centrally manage their HR processes: organization management, recruiting, onboarding, personnel management, performance and goals, training and internal communication. A unique platform means HR process optimization, accurate and up-to-date employee information, high responsiveness, easy communication, informed decision making and efficient use of company resources. Sincron HR Software connects everyone in the company, offering access to information not only to specialists in Human Resources, but also to all managers, employees, contractors and volunteers. Serving a wide variety of organizations – from 60 to 16,000 employees, Sincron HR Software includes among its clients Renault, Miele, Ecovis, Pathway Community Services and Family Builders. The website na.sincronhr.com uses its own cookies and third-party cookies to provide visitors with a better online browsing experience and services tailored to the needs and interests of everyone.